"Concise, clear and convincing. . . a vision for the country as a whole." 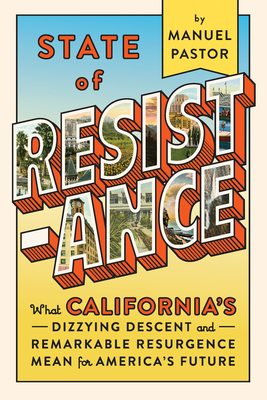 Once upon a time, any mention of California triggered unpleasant reminders of Ronald Reagan and right-wing tax revolts, ballot propositions targeting undocumented immigrants, and racist policing that sparked two of the nation's most devastating riots. In fact, California confronted many of the challenges the rest of the country faces now--decades before the rest of us. Dr. Manuel Pastor is a professor of sociology and American studies and ethnicity at the University of Southern California, where he also serves as director of the Program for Environmental and Regional Equity and co-director of USC's Center for the Study of Immigrant Integration. Dr. Pastor has received Guggenheim and Fulbright fellowships as well as the 2012 Wally Marks Changemaker of the Year award from the Liberty Hill Foundation in Los Angeles. He currently holds the Turpanjian Chair in Civil Society and Social Change at USC and lives in Los Angeles.